Status: Contest finished on 18-04-2010. 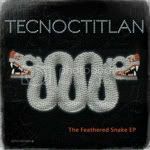 Tecnoctitlan is running a remix contest in association with Aztec Records. Remix the track “Closer” to be part of their upcoming single “Feathered Snake EP“. Enter now!